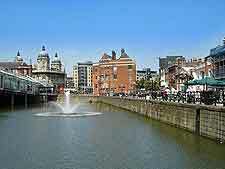 A dynamic and energetic riverside city, Kingston Upon Hull is rapidly becoming something of a burgeoning tourism hotspot, since it offers plenty of sightseeing and a thriving social scene. When you arrive in Hull, take a stroll around its historic Old Town area and along its winding cobblestone alleyways, stopping off for a hearty lunch at one of the traditional English pubs, before reaching the award-winning Museums Quarter. For a spot of serious retail therapy in Hull, head to the waterfront Princes Quay shopping complex, to St. Stephen's, or to the bustling Trinity Market. 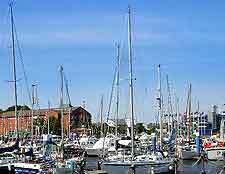 Perhaps you would enjoy a bite to eat at the marina, or at one of the fancy restaurants on Princes Avenue, before taking in a show at the Hull New Theatre or the Truck Theatre. Tourist information is available at the city's TIC on the Queen Victoria Square, where many period buildings still stand, in defiance of the past Blitz bombing. Boat rides from the Victoria Pier are always fun, while for families and children in Hull, there really is one place that stands out from all others - The Deep. This enormous aquarium attraction stands at the confluence of both the River Hull and the Humber Estuary, and markets itself as being the only 'submarium' in the world. Come to The Deep and watch the divers hand feeding the sharks, before taking a ride in the Underwater Lift and visiting the Kingdom of Ice. Alternatively, grab a picnic and relax is the colourful Queens Gardens, which were once actually part of the docks, until being filled in with soil and landscaped in 1930. 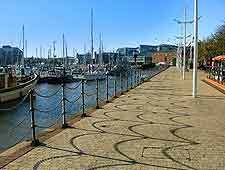 In the summer, Kingston Upon Hull hosts many exciting events, which are often staged at the East Park and include the city's celebrated Motor Show, where almost 1,000 classic vehicles gather at the end of August. More information about Hull Tourist Attractions. Despite the devastation caused by WWII, Hull has managed to retain much of its historical character and heritage, which is today complemented by an assemblage of dramatic modern structures. Situated on the outskirts of Hull, Fort Paull is one of oldest remaining fortifications in the East Riding area of Yorkshire and this important gun battery has also become known for its endless views across the Humber Estuary. The red-brick Venn Building at the University of Hull is another important historic landmark, as is the early 14th-century Holy Trinity Church on the Market Place. More contemporary is the KC Stadium (Kingston Communications Stadium), and of course the monumental Humber Bridge, which spans the estuary and connects Lincolnshire. More information about Hull Landmarks and Monuments. Since the museums of Hull are located in the city centre and feature free admission, there really is no good reason not to visit a least a handful. 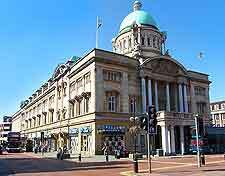 The best include the Hull and East Riding Museum, the Maritime Museum and the Streetlife Museum of Transport. There are also a couple of fascinating museum ships in the city - named the Arctic Corsair and the Spurn Lightship, which respectively provide information about the former whaling industry and the past dangers of shipping on the Humber Estuary. The anti-slavery information at Wilberforce House is another must-see, along with the old masters at the highly esteemed Ferens Art Gallery. 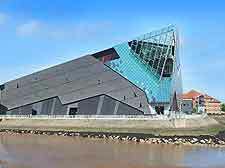 More information about Hull Museums and Hull Art Galleries. 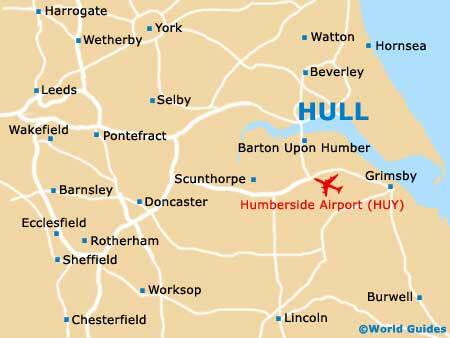 Tourists based in Hull really do have the whole of Yorkshire on their doorstep, with many neighbouring villages, towns and large cities being well connected by road and rail. With an early start, day trips to Leeds, Sheffield and York are all quite feasible, with each of these cities being filled with tourism opportunities, culture and famous sights. However, many tourists prefer to take an excursion to the coastline, and the seaside resorts of Bridlington, Hornsea, Scarborough, Spurn Point and Withernsea are particularly popular. It is even possible to catch a train between Hull and Manchester, and this fast rail journey will likely last little more than a couple of hours. More information about Hull Attractions Nearby.